Reading to babies has a direct impact on preschool vocabulary and listening comprehension and is directly related to reading skills in school. Most parents understanding the importance and benefits of reading to kids, but you might be surprised to learn that the language advantages of reading have been shown in babies as young as three months. Looking at stage-appropriate books and learning to read has direct physical effects on the brain’s wiring n the areas responsible for language and reading. Specifically, children’s exposure to books has been linked to the development of vocabulary and listening comprehension skills. 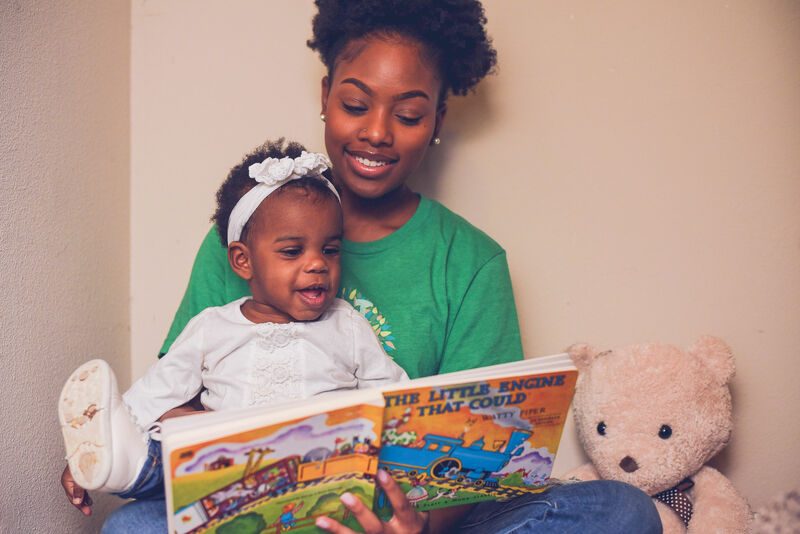 Besides simply enjoying the sound of your voice, over times babies learn to connect books with spending time with the people they love. Books can be introduced from the earliest months – it’s never too soon to start building your child’s relationship with books! Goals: Strengthening the relationship between child and parent or caregiver, helping baby to focus eyes and develop vision, stimulating the brain to make connections between images on a page and real life, conceptualizing the nation that objects have labels. Goals: Language learning (sounds and words), listening comprehension and the recognition of cause and effect. Helpful tip: Give the child a toy to hold in one hand or even another book to relieve the desire to clutch things while reading them. Take cues from your child about when and for how long to read.